Chip bags and other food packaging pose serious suffocation risks to our pets. Too many pets, especially dogs, have died from suffocating in chip bags, cereal boxes, snack bags, pet treat bag liners, and pet food bags. A lot of these bags are made from a strong mylar-like material (like a balloon) which helps keep snacks fresher. When a curious dog puts his head into the bag looking for leftover crumbs, the bag creates a vacuum-like seal around the dog’s neck. As he tries to breathe, the bag tightens around his neck, cutting off the oxygen. When a dog cannot remove the bag from his head, he will usually start to panic, desperately running around until he collapses and dies from asphyxiation, often losing his bowels, as well. This happens within minutes. We can reduce the number of accidental pet deaths by educating the public on the dangers of these types of bags. Most people do not know that these mylar bags are a suffocation hazard to their animals, and they often do not find out until it happens to their pet. Many a pet owner has arrived home or walked into another room of the house and found their dog lying motionless with a chip bag or other type of bag on his head. The more people are aware of this risk, the more pet owners can do to ensure their pet is safe. 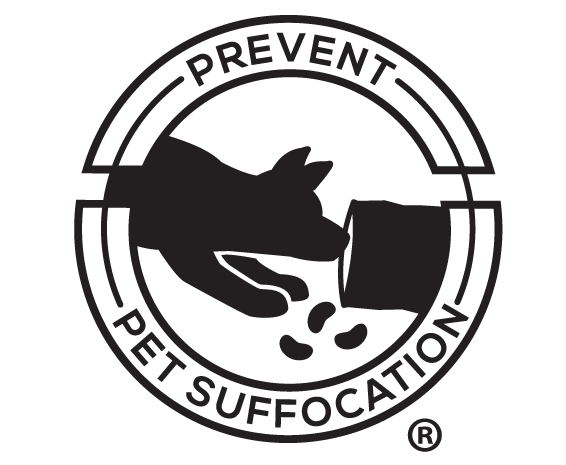 Awareness is our best defense against pet suffocation! Please read on the “Information” page what you can do to prevent this from happening to your beloved pet. PLEASE SIGN MY ONLINE PETITION TO FRITO-LAY REQUESTING THEY ADD SUFFOCATION WARNING LABELS TO THEIR CHIP BAGS! EVERY SIGNATURE COUNTS! THANK YOU!